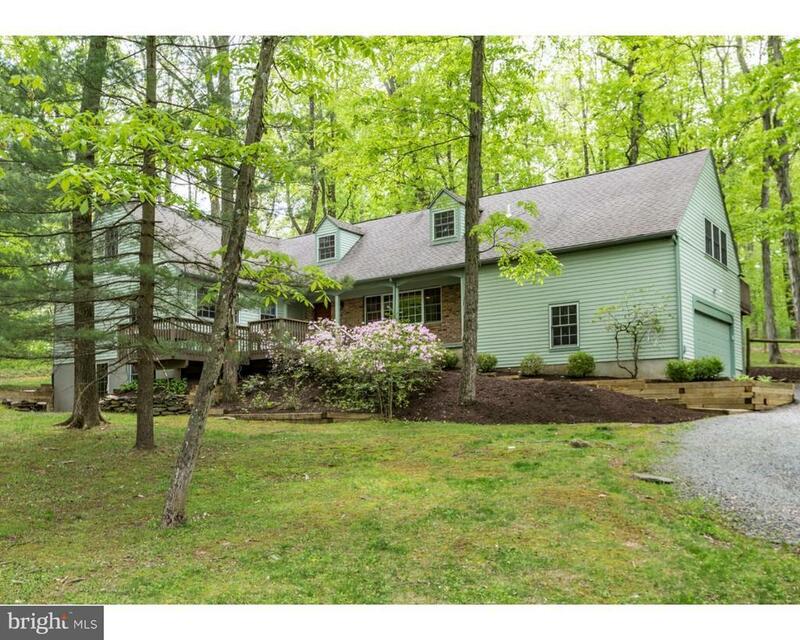 Every room of this home provides beautiful views of nature in a secluded, park-like setting close to St. Michaels Preserve, a 400-acre expanse of farm fields and forests just outside Hopewell Borough. Grounds include front and back decks, abundant plantings, and plenty of parking. The new kitchen shows off top-end appliances including a Thermador range, glass accent cabinetry, a Shaws Original farm sink, and counter seating. It will be easy to entertain with its open-concept design that looks into a large casual dining room with a fireplace. Or step through glass doors and bring the party outside on summer nights either from here or from the spacious living room with wood floors. In all, this home offers four bedrooms and three updated bathrooms, meaning there is plenty of room for weekend guests, who will surely anticipate an invitation! The master suite is reached via a private staircase and includes its own deck and a newly-finished luxury bathroom. The walk-out basement could easily be finished. Gas line to the house for the stove. Truly a fabulous find! Directions: Cherry Valley or Rt 518 to Aunt Molly to #49.